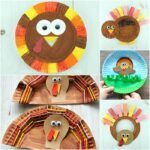 Paper Plates are a staple at our house, not only for eating but also for creating. When my boys were 5 and 3, one of their favorite bedtime stories was Giraffes Can’t Dance by Giles Andreae. I got it off their bookshelf the other night and reminisced for a moment of the sweet memories. Then I instantly thought, hey, this would be a fun book to make a giraffe craft with. 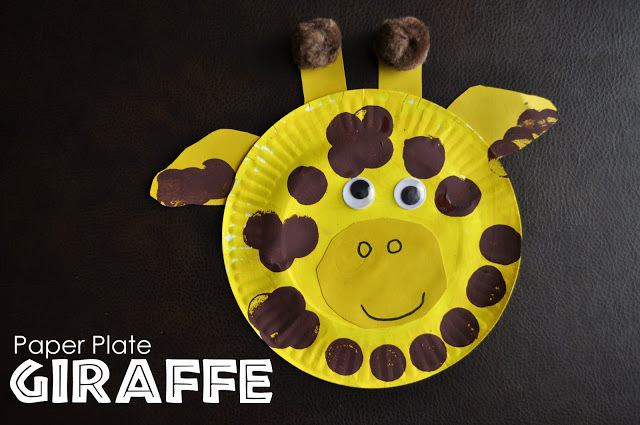 Our paper plate giraffe was so simple and fun to make. 1. Paint the bottom of a paper plate yellow and let it dry completely. 2. On a sheet of yellow paper (I used a different shade of yellow than what we painted the paper plate), draw two ears and a large circle for the giraffe muzzle. 3. 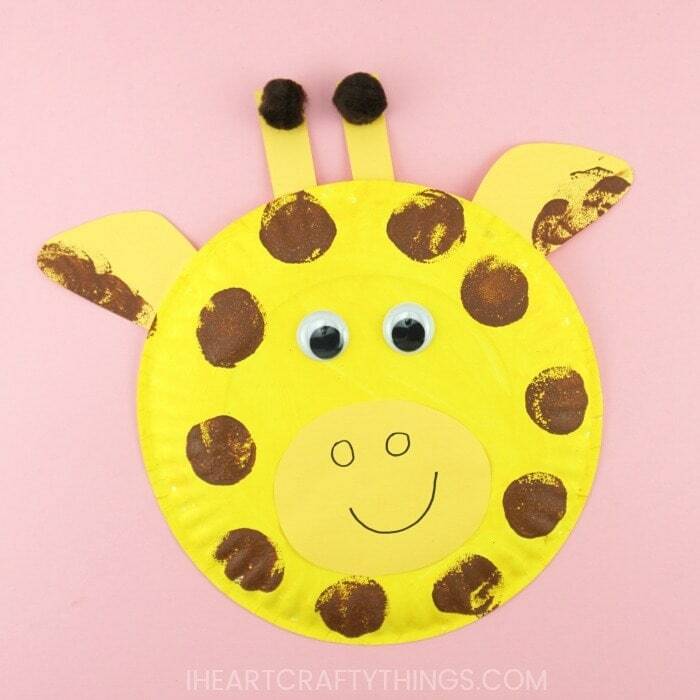 Have your child cut out all the giraffe pieces, then glue them onto the giraffe. From the same sheet of paper also cut out two small strips for the horns and glue them onto the giraffe. 4. Next glue on some large wiggly eyes and some brown pom-poms for the brown hair at the top of the horns. 5. Draw a nose and mouth on your giraffe. We used pencil first and then traced it with black marker. It took my son a couple tries to get his nose how he wanted it so I’m glad we did it this way. 6. Use a circular sponge brush to dab the brown spots on your giraffe. My son looked at the picture of Gerald in the book and saw that he had some brown at the bottoms of his ears, so he added that too. 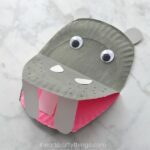 Looking for more fun zoo animal crafts? 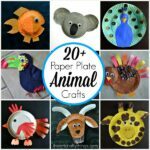 Kids will love making an adorable paper plate koala craft. Here’s a fun way to use paper plate to make an owl craft. It was also inspired by a favorite children’s book. Paper plates make a great base for a fun kids mask. These paper plate polar bear masks are always a bit hit! This turned out really cute! I love it! So cute, Rachel!! Giraffes are one of my favorite animals. That book is one of my favorites, too. Love the pom pom horns! 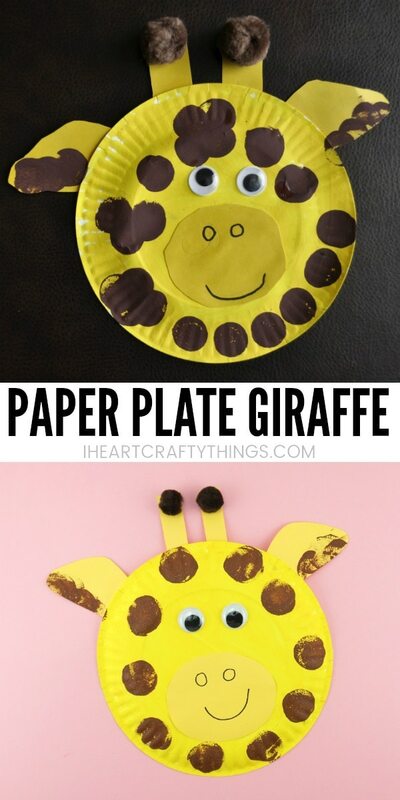 The paper plate Giraffe is super cute! What a cute idea! Reed loves giraffes! I can't wait to try this with him. Thanks for linking up to the Pomp Party! What an adorable Giraffe!!!! Thanks so much for sharing at Two Sasters! Super cute giraffee!! We enjoy that book a lot too =-) I shared this with my Facebook readers here: https://www.facebook.com/LivingLifeIntentionally – thanks for linking up to TGIF, I look forward to seeing you again tomorrow! !